As an admin, whenever you log into Abacus, you’ll find yourself on the Admin Dashboard. At the top of the lefthand sidebar, you will find all of your Expense Inboxes. These contain all of your company's expenses, sorted by processing status. Your company's saved filters will appear in the expense inbox area as well. If your company uses corporate cards, the Team Cards Dashboard is where you can view all corporate card activity and send reminders to your team to submit their expenses. 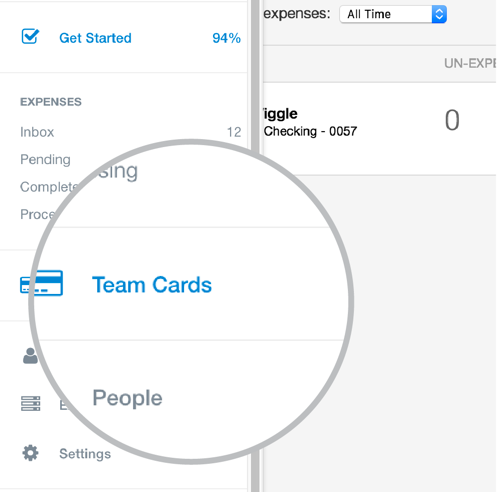 Below the Team Cards Dashboard, you will find the People page, your company Expense Policy page, and you Settings page. From the People page, you can invite new members, organize users into groups, change their permissions or deactivate an account. 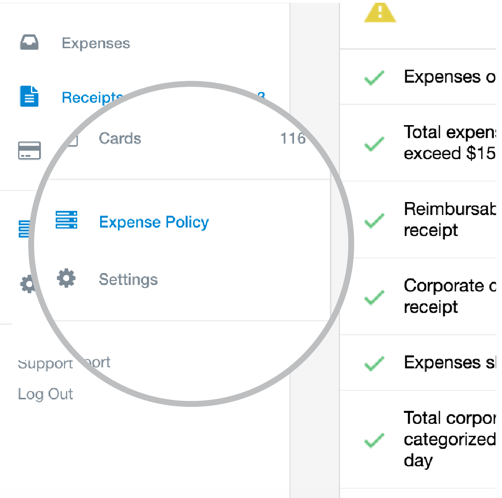 The Expense Policy page is where you can build custom rules to set your expense policy. The Company Settings page is where you go to set up and customize your accounting sync, adjust bank information, and view the status of bank transfers and your accounting sync. 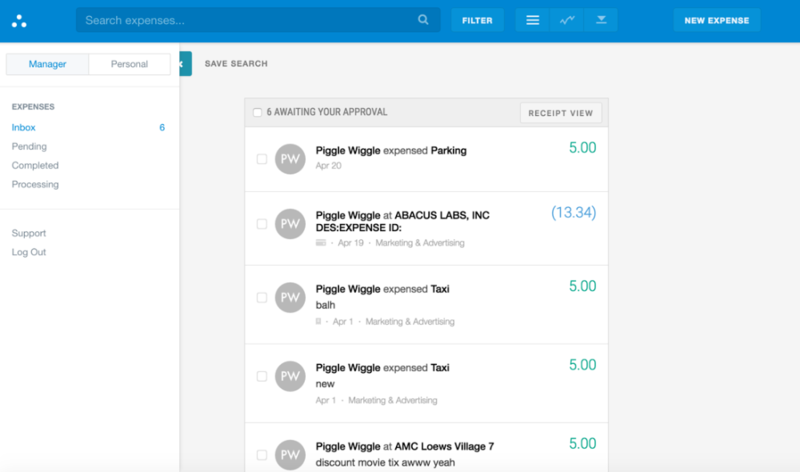 At the top of the lefthand sidebar on your Personal Dashboard, you will find your Expense, Receipt, and Card sections. 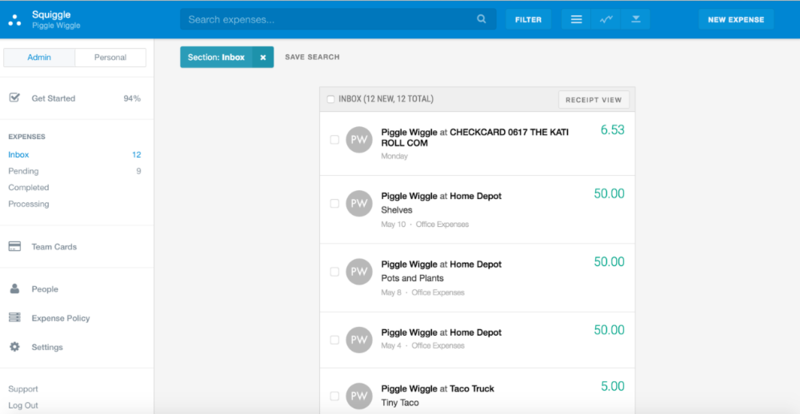 Your Expense Section is where you can submit a new expense, see the status of submitted expenses, and see your own expense history. 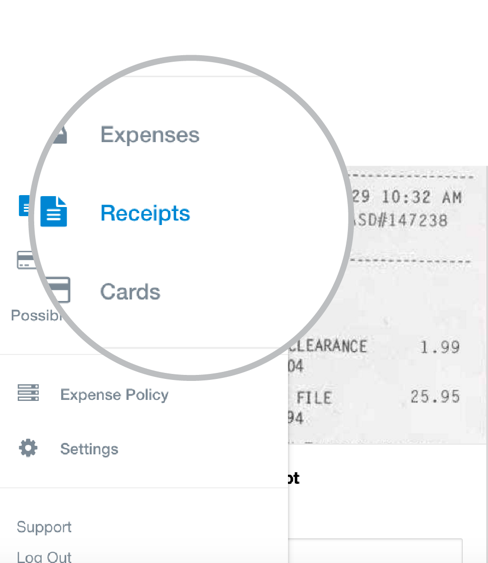 Your Receipts Bin contains any emailed or stored receipts for you to add to future expenses. The Cards page contains any credit cards that you have linked to Abacus. 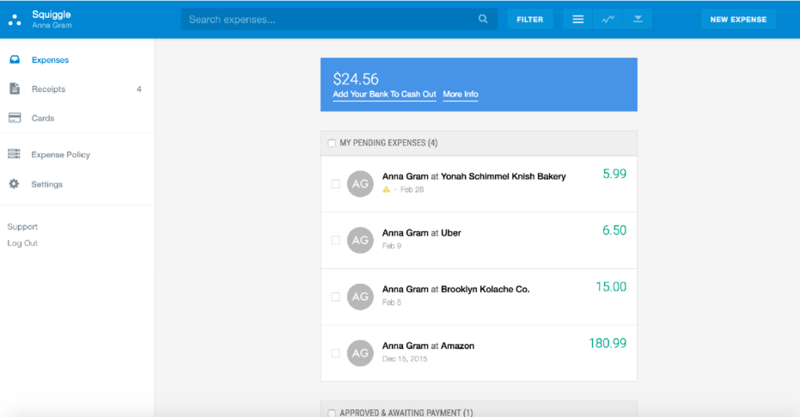 You can submit personal and corporate card expenses directly from your transaction list. 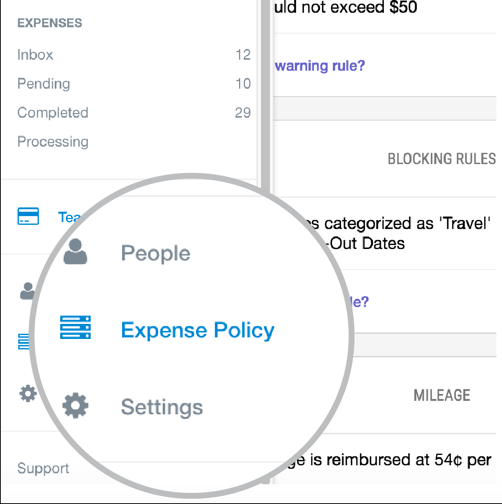 The Expense Policy Page is where you can go to view your company's expense policy. Your Personal Settings Page page is where you can go to add a bank account, edit your email or password, adjust your notification settings, and view your bank transfer history. At the top of the lefthand sidebar, you will find all of your Expense Inboxes. 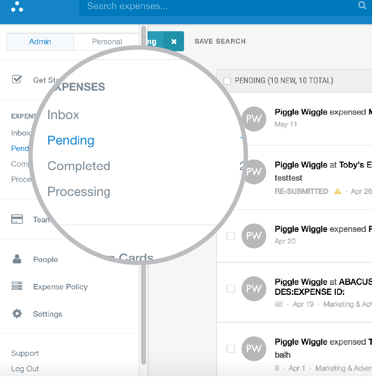 These contain all of your direct report's expenses, sorted by processing status. 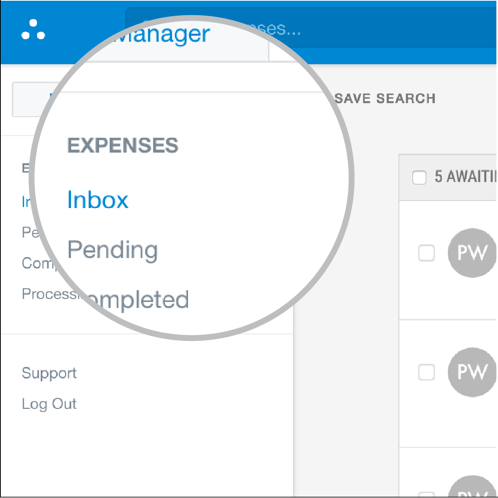 Your saved filters will appear in the expense inbox area as well.